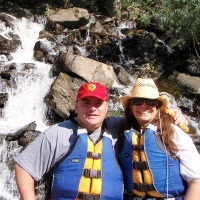 Full Day Adventure into the "River of No Return Wilderness"
Idaho’s Wild and Scenic Main Salmon River cuts through the heart of the Frank Church River of No Return Wilderness, the largest wilderness in the lower 48 states. 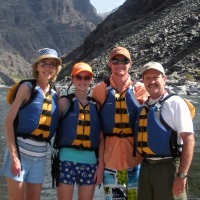 The largest free flowing river in North America our Salmon River jet boat tours wind through the second deepest canyon on the continent. 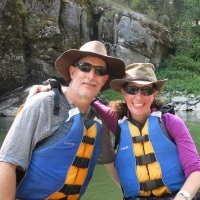 Salmon River jet boat tours are exciting, historical, wilderness adventure vacations, offering a unique chance to disconnect from civilization and become immersed in a virtually untouched natural wonder. 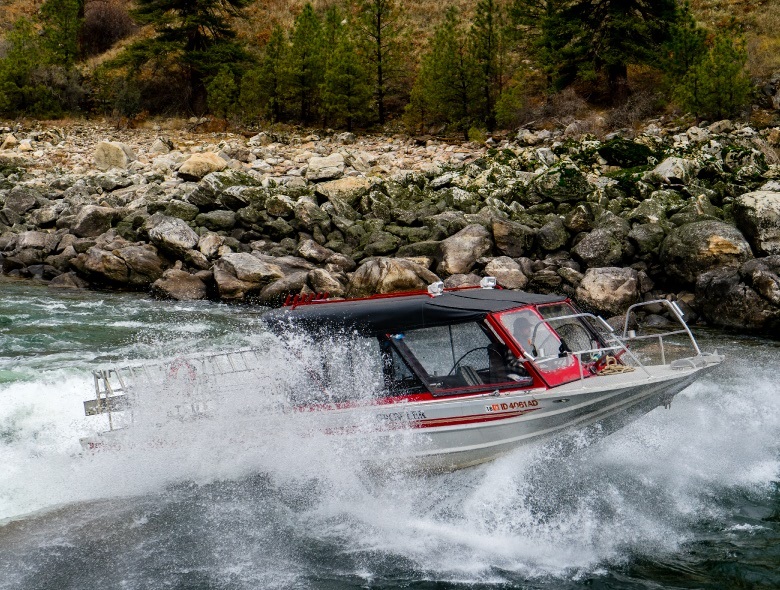 Our jet boats journey up the Main Salmon River where many turn around, come experience these historical sites and homesteads: Polly Bemis Ranch, Buckskin Bills Museum, Shepp Ranch, Mackay Bar, Painter Mine, Reho Wolf's Cabin at Rhett Creek, China Bar and Lodge. 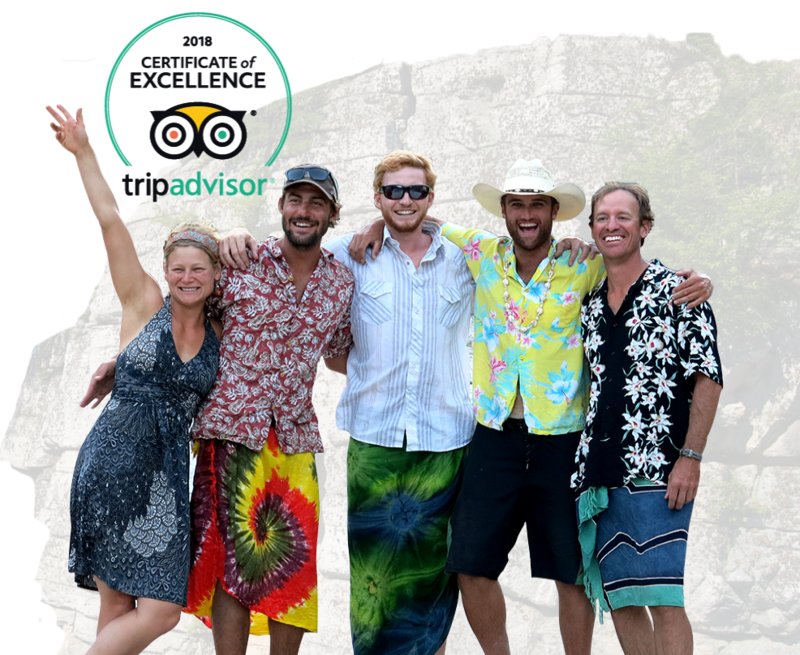 The jet boat captain's will share their knowledge about the Native American Tribes, the gold rush and mountain men that lived here. 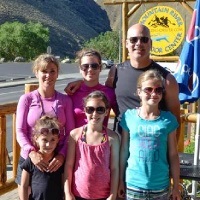 Our clients will be encouraged to enjoy many of the pristine white sandy beaches of the Salmon River where you can swim or relax. 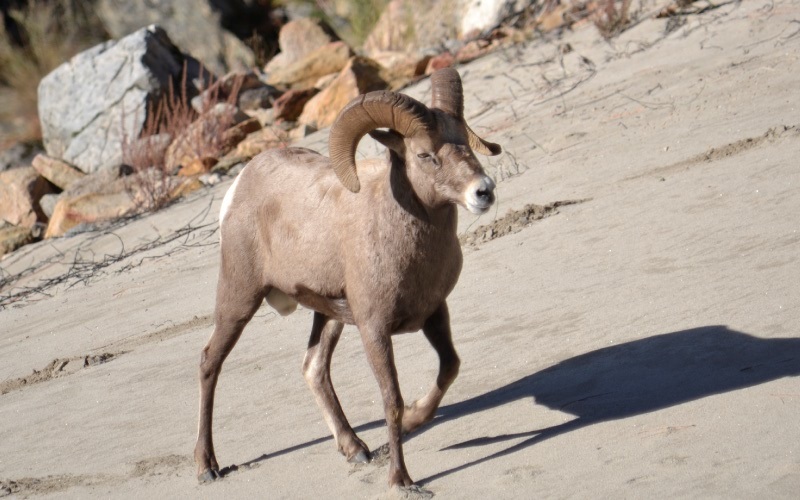 Our wildlife almost always includes sightings of Bighorn Sheep, Bald and Golden Eagles, Osprey, Deer, Elk and an occasional Mountain Goat, River Otter, Bear and more. 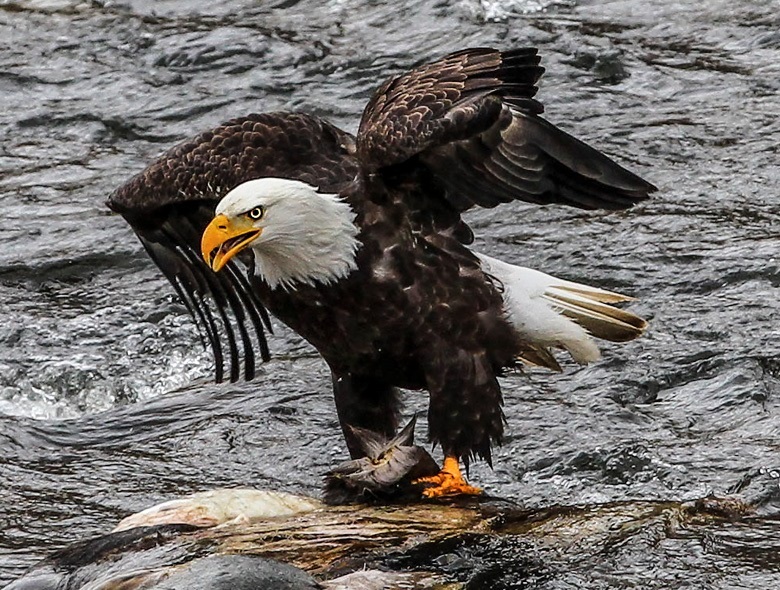 We have specialty private charters such as Eagle watching, Photography Trips and wine tasting excursions. 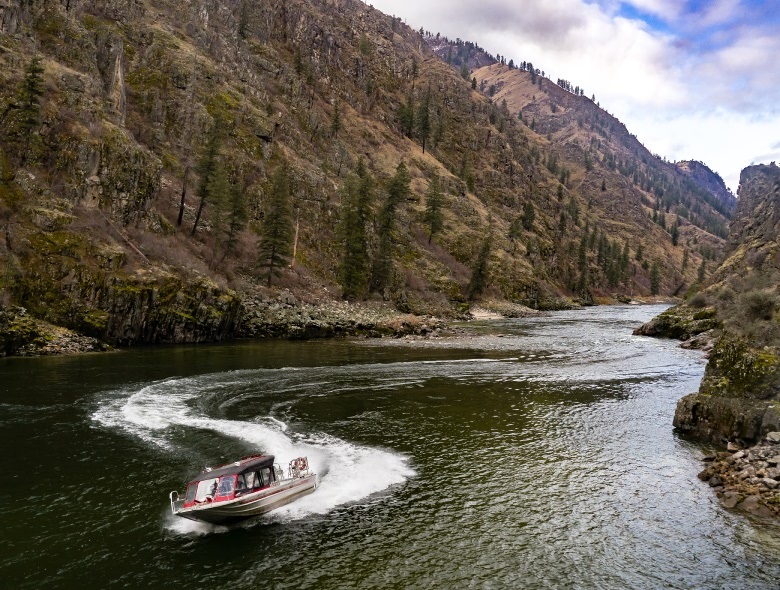 Now you can experience the river that turned Lewis and Clark back with a scenic jet boat tour of the famous "River of No Return". 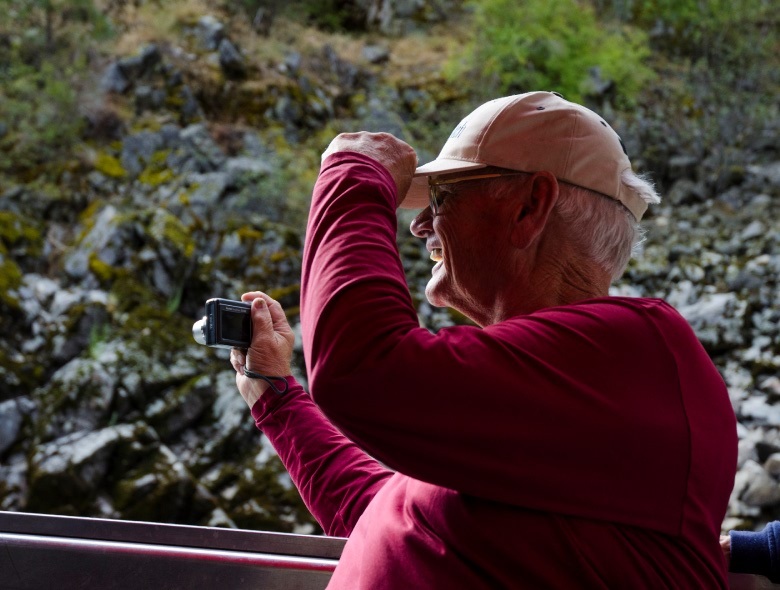 Lewis and Clark came across the Salmon River and went on to describe it as “foaming and roaring through rocks in every direction, so as to render the passage of anything impossible.” This was in 1805 and it would be nearly fifty years later before gold was discovered that the drainage would be thoroughly explored and catalogued. 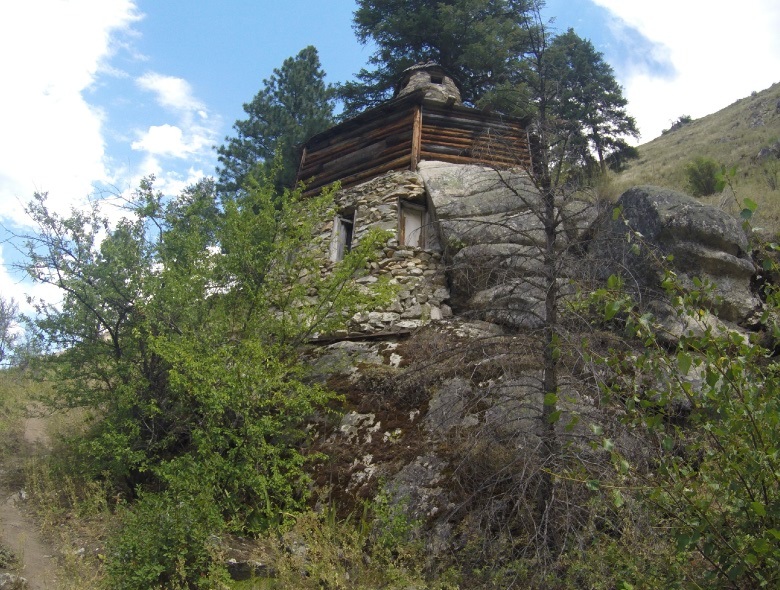 Gold fever brought about an era of mining and prospecting that ultimately only managed to produce fewer pinches of gold dust than epic stories of survival and perseverance. 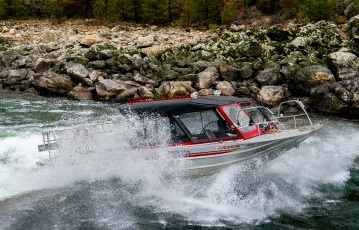 Your adventure begins at the end of the road 28 miles from Riggins Idaho at Vinegar Creek boat ramp. 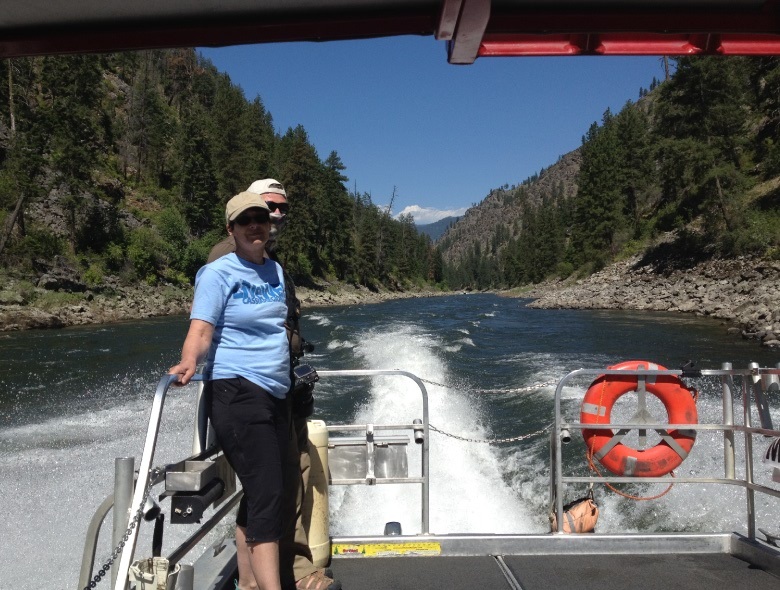 Here you will board one of our jet boats for a memorable adventure tour through the heart of the Frank Church River of No Return Wilderness, where photo opportunities seem to be everywhere as you pass through the beautiful Salmon River canyon.